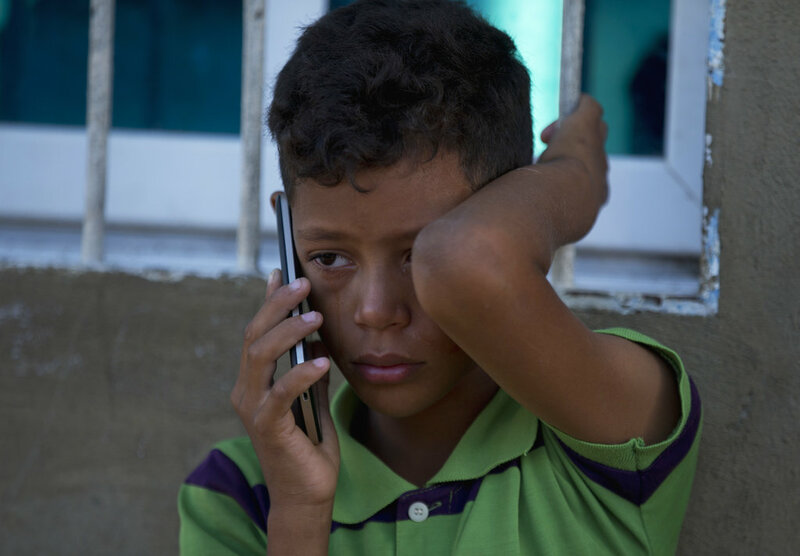 When Emili Espinoza was finally able to make a video call to the 3-year-old son she hadn't seen since fleeing Venezuela, the little boy named Elvis didn't recognize her. "No," he told her. "My mom is sleeping." That cold denial sent a shiver of sadness down her spine. She reminded him of the chocolate-covered bananas she used to buy him, hoping to trigger a memory. But his young mind couldn't grasp the recollection. His mother wasn't the 28-year-old woman with almond-colored eyes staring at him through a cell phone screen, he insisted, but the young lady who happened to be taking care of him that afternoon and was napping a few feet away. 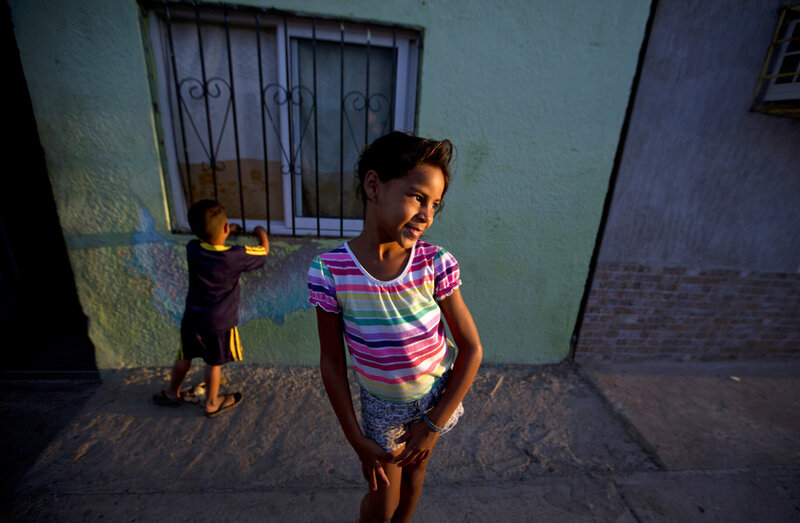 Like thousands of other Venezuelan migrants what the U.N. calls the largest exodus of people in South America's modern history, Espinoza had made an agonizing choice six months ago: To leave without her three children. She did not have the money to bring them and had no idea what trials she might face in Colombia. So she left them with her brother in the hopes of earning enough to feed them and, with time, reunite. It's a pattern that echoes other migrations throughout the world, from Central America, the Caribbean and Asia: Heads of households are fleeing first, with hopes — sometimes frustrated — that their families can soon join them. The result is a profound alteration of families, with sometimes devastating consequences. Co-workers at the health foods restaurant in Bogota where Espinoza cleans tables tried to console her, saying the child was simply confused and likely associated the word "mother" with any one of the female neighbors or relatives in Venezuela now helping take care of him. "He would consider that person his mother and not me," she said, weeping at the memory. 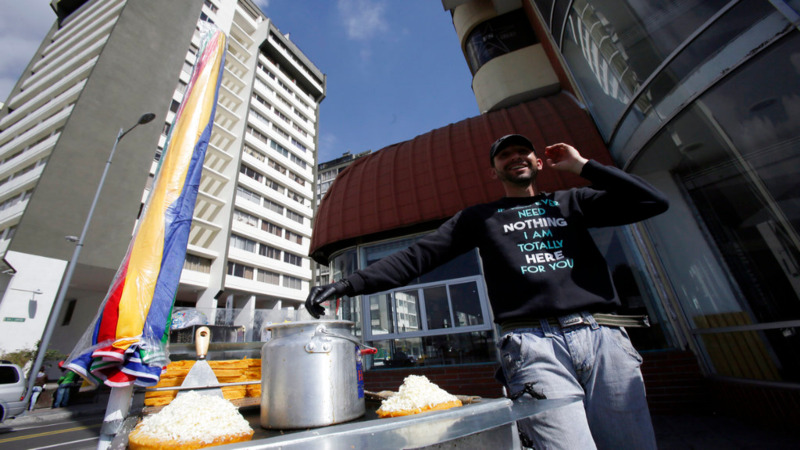 An estimated 2.3 million Venezuelans have fled their nation's hyperinflation, food and medical shortages over the last three years, according to the United Nations. About 1 million have landed in neighboring Colombia after making long treks by bus and foot . In one survey by Colombian officials, 73 percent of the more than 250,000 migrant families questioned said they had left relatives behind in Venezuela. Another smaller survey by the International Rescue Committee, a humanitarian aid group, found 52 percent of 312 Venezuelans recently arrived in Colombia reported being separated from at least one child they usually live with. "The rate of family separation and separation of parents from children is just staggering," said Marianne Menjivar, the IRC's Venezuela and Colombia director. "These are people who have multiple layers of trauma and the child separation is one more." Experts who have studied migrant families say the same factors typically drive the decision to flee without children, regardless of country of origin: Uncertainty about the journey, worries about job prospects in a new country and a belief that the separation will only be temporary. A rise in female migration in recent decades has also led to larger numbers of children separated from their mothers. Perhaps nowhere has the issue been more visible than at the U.S.-Mexico border, where families make wrenching decisions over whether to bring children on long treks — often covering hundreds of miles and finally across scorching, isolated deserts. Even families who cross into the U.S. together often find themselves separated, whether by agents at the border or deportation orders issued years or decades later. The impact can vary depending on age and length of time apart, said Joanna Dreby, an associate professor of sociology at the University at Albany, State University of New York. Babies and toddlers are at an age where bonding is considered crucial and little is known about the long-term impact of separation. Middle-school aged children, meanwhile, tend to suffer the most adverse consequences. They are old enough to know what's going on, but may not totally understand their parent's rationale in choosing to be apart. "They may come, as they get older, to understand the rationale," Dreby said. "But it doesn't change the feelings of resentment they grapple with." 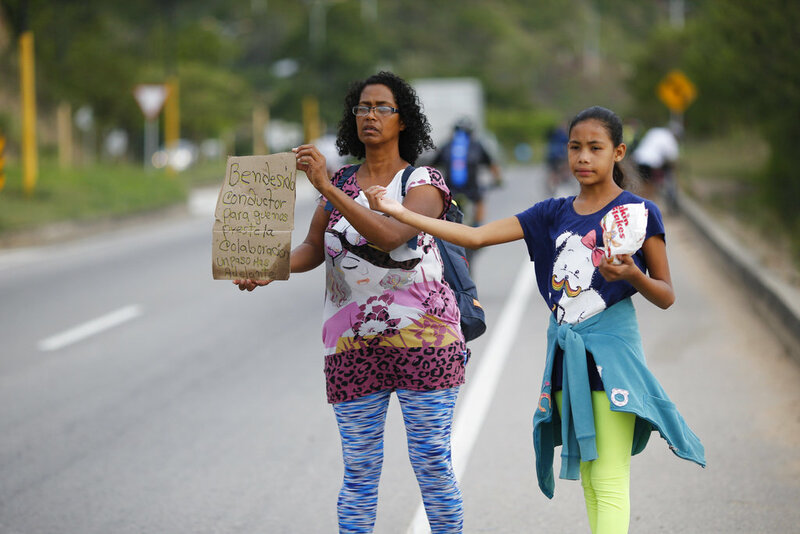 Like other migrants, Venezuelan families are likely to try to reunite as quickly as possible, a trend Colombian authorities believe is already happening, which will result in even higher numbers of Venezuelans living abroad. Colombian Foreign Minister Carlos Holmes Trujillo recently estimated that there could be as many as 4 million Venezuelans in Colombia by 2021. In their survey of about 250,000 Venezuelan migrant families, Colombian officials found an average of just 1.7 people per "family," indicating that most had relatives scattered across borders. 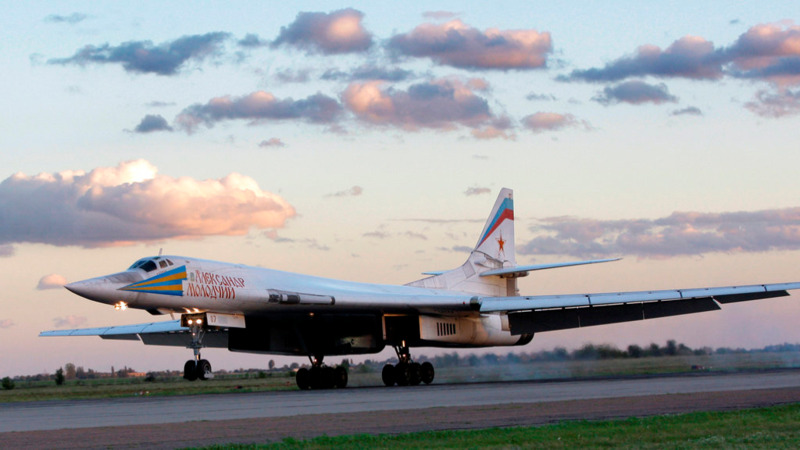 Seventy-two percent stated they expected one to three relatives to arrive in the next six months. "Families are being broken apart," said Felipe Munoz, Colombia's director for Venezuela border issues. "But they are also being reunited." Espinoza, a single mother, had worked at a variety of jobs, once with a child's entertainment troupe, dressing up as a clown and painting faces at parties. She said her children first begged her not to leave. But then they started getting even hungrier, sometimes passing two or three days without eating. While doctors told her the kids were an adequate weight, the sight of ribs peeking out from their skinny bodies perturbed her. When she broached the subject again a month later, her oldest, who is 10, said she could go. She promised to send enough money for them to eat pizza once a week and hopefully get Christmas presents. She went first to Colombia, where she found work, but it didn't pay enough for her children to travel to Bogota. So she went to Ecuador, hoping to earn more. She wound up cleaning at a wealthy family's beach house, where she said she went three months before finally being paid — a paltry $180. Her children, meanwhile, stay with her 30-year-old brother, a nurse without children of his own, and often spend long hours with a 62-year-old neighbor, Maria Cuaro, whose own grandchildren have already fled. On a recent afternoon, Cuaro led the children out of her faded green house and tried to catch a wireless internet signal around the corner to call their mother. Eight-year-old Solgreidy and her brother, Greider, 10, squeezed close to try and see her. The sun beamed off the screen, making it difficult for them to clearly see their mother's wide smile and auburn hair. "I love you!" Solgreidy shouted to her mother. Elvis, the toddler, walked around the sidewalk, collecting rocks from the street. For the older two, the memory of their mother is a constant. "I told her goodbye," Solgreidy said, crying as she recalled the day her mother walked her to school for the last time. "And since then I haven't seen her again." Espinoza said that since returning to work in Colombia, she's earned enough money to at least ensure that her children are able to eat every day. Her goal now is to save enough money to pay for them to take a car with her brother to Colombia and reunite before Christmas. In the meantime, she's sustaining herself with brief video calls. Through the fuzzy, at times pixilated connection, Espinoza gets glimmers of hope that the separation will not cast a permanent scar. After an initial call in which Elvis did not recognize his mother, Espinoza's brother began showing the young boy pictures of her. Now when she calls, Elvis recognizes her.